New Hampshire is a state one can enjoy any time of year. With four distinct seasons, the possibilities for adventure and activity are endless. You can go maple sugaring in the spring, or take long walks through valley trails in the crisp morning air. While summers are usually spent relaxing by lakes, hiking and other adventures in the White Mountains are also common. Most NH visitors plan their trip around the world-renowned fall foliage. And, most love apple picking and farmers markets during the fall growing season. In winter, of course, it's time to grab your skis or snowboard and hit the slopes. While New Hampshire is known for its freedom and secret beauty, it's also known for its seven distinct regions. The Great North Mountains, White Mountains, Lakes Region, Dartmouth Lake Sunapee, Monadnock Region, Merrimack Valley, and Seacoast are all on the list. And, a completely different experience and perspective can be expected in each. 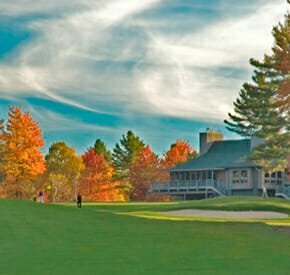 As the for the Dartmouth-Lake Sunapee region, it encompasses unsurpassed beauty. The Eastman Golf and Boating Community is a hidden gem nestled among the lakes there. Find additional information about Eastman below to discover one of the best places to live in New Hampshire. Then, request more information to learn more about the cream of crop among New Hampshire active adult communities.